Aidan O’Brien has yet to win the Dubai Duty Free Mill Reef Stakes. Britain’s and Ireland’s champion trainer has made eight entries include Land Force, winner of the G2 Richmond Stakes at Goodwood last week, and G2 Coventry Stakes third Sergei Prokofiev. Owned by Hot To Trot Racing, Heartwarming is half-sister to the syndicate’s dual G2 winner Heartache. Sam Hoskins, racing manager for Hot To Trot Racing, said: “Heartwarming has come out of Sandown well and is going to run next in the Byerley Stud Stakes at Newbury on Friday week. Heartwarming’s trainer Clive Cox, who won the Dubai Duty Free Mill Reef Stakes with Harry Angel, also has G2 July Stakes runner-up Konchek among his six entries. Yorkshire-based handler Mark Johnston has four contenders to choose from, notably Royal Ascot scorer Main Edition and Natalie’s Joy, successful last time out over the course and distance in the Listed Irish Thoroughbred Marketing Rose Bowl Stakes at Newbury on July 20. 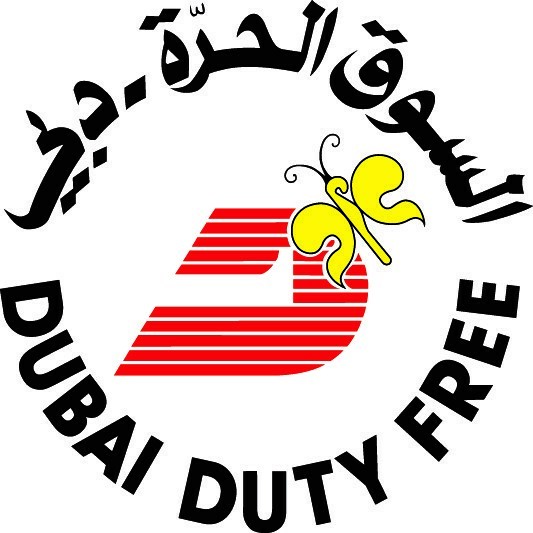 Other highlights at the Dubai Duty Free International Weekend include the G3 Dubai Duty Free Legacy Cup over 11 furlongs, the five-furlong G3 Dubai International Airport World Trophy and the £75,000 Dubai Duty Free Handicap over 10 furlongs. Group 2, £75,000 total prize fund. Six furlongs, Saturday, September 22. For two-year-olds only. Weights: colts and geldings 9st 1lb, fillies 8st 12lb. Penalties: a winner of a G1 or G1 race 3lb. Entries closed August 7, entries revealed August 8 (63 entries), scratchings deadline September 4, five-day confirmations September 17, final declarations 10am September 20. Maximum field 20 runners. Royal Ascot winner Expert Eye headlines 41 entries for the seven-furlong £150,000 G2 Hungerford Stakes, the feature race at Newbury on Saturday, August 18, Ladies Day with Rudimental. Owned and bred by Khalid Abdullah, Expert Eye (Sir Michael Stoute) produced a sparkling performance over this distance when winning the G3 Jersey Stakes by four and a half lengths at Royal Ascot on June 20. He finished second to Lightning Spear on his latest start when upped to a mile for the G1 Sussex Stakes at Glorious Goodwood on August 1, with Gustav Klimt (Aidan O’Brien) back in fourth. G1 July Cup fourth Sir Dancealot (David Elsworth) was also in action at Glorious Goodwood and posted a career-best as he came with a strong late run to win the seven-furlong G2 Lennox Stakes by a short-head. The Dean Ivory-trained Librisa Breeze finished a staying-on fourth in the G1 Prix Maurice De Gheest at Deauville on August 5, making up plenty of ground in the closing stages under Robert Winston in the extended six-furlong contest. The six-year-old Mount Nelson gelding finished ninth in the six-furlong G1 Diamond Jubilee Stakes at Royal Ascot. He enjoyed an excellent 2017 season, which culminated with an impressive success in the G1 QIPCO British Champions Sprint over six furlongs at Ascot on British Champions Day in October, 2017. The grey was a length and three-quarter second in the 2017 renewal of the Hungerford Stakes and his participation could ultimately hinge on a change in the current warm weather engulfing Britain, with the Radlett handler stressing the importance of “give in the ground” for the G1 winner. Ivory, who trains at Harper Lodge Farm in Hertfordshire, said: “Librisa Breeze has come out of his run at Deauville in good form and I am really happy with him. “He was second in the Hungerford Stakes last year and could potentially run in this year’s renewal, but it all depends on the ground for him. “There is time to get him ready for the race after his run on Sunday, but we would really like there to be some cut in the ground for him. “I was thrilled with his run in the G1 Prix Maurice De Gheest. It was an excellent renewal and I thought he was nearly back to his best. He ran on well under Robert and it was a great effort to finish fourth. “We had to head over to France just to get a bit of ground which wasn’t good to firm. At the moment, it is very hard to find a race for him as he would like some cut in the ground. “Librisa Breeze is like a lot of my horses in that he does appreciate some give, because we train all our horses on the All-Weather. “I have been very patient with all my horses so far this year, but Librisa Breeze is great and if conditions continue to be dry, then he will have a nice autumn campaign ahead of him. William Haggas enjoyed an excellent week at the Glorious Goodwood and the progressive Pretty Baby, winner of the G3 L’Ormarins Queen Plate Oak Tree Stakes, is a potential runner in the G2 Hungerford Stakes. The three-year-old daughter of Orpen ran on strongly to score by a neck under Dane O’Neill on her first attempt over seven furlongs. Discussing the victory and future plans, Haggas revealed at Goodwood: “Pretty Baby won well and that was her first try over seven furlongs. “We always thought that she might appreciate the step up in trip, so it was good to see her win. “Pretty Baby is tough and that is her nature – she has always been feisty. Eight-year-old Breton Rock (David Simcock) could bid for a second success in the Hungerford Stakes, having defeated Gregorian by a short-head in 2014. Yafta (Richard Hannon) and Projection (Roger Charlton) may clash again at Newbury after being separated by a head in the G3 bet365 Hackwood Stakes over six furlongs at the track on July 21. Top-class sprinter Jungle Cat is one of two entries for Godolphin trainer Charlie Appleby. Jungle Cat has not raced since capturing the six-furlong G1 Al Quoz Sprint at Meydan on Dubai World Cup Night in March. Gustav Klimt’s trainer Aidan O’Brien also has G1 July Cup third Fleet Review and St Patrick’s Day, who is a full-brother to US Triple Crown hero American Pharoah, among his four entries.